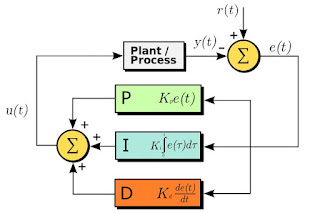 PID is short for "proportional plus integral and derivative control", the three actions used in managing a control loop. Process loop controllers use one, two or all three of these to optimally control the process system. PID control is used in a wide variety of applications in industrial control and process system management. Many types of PID controllers exist on the market and are used for controlling temperature, pressure, level and flow. PID control is also used in industrial, inline refractometers to control process variables such as Brix, Percent Solids, Dissolved Solids, Specific Gravity Units, and Refractive Index. Here is a brief explanation of the three actions that make up PID control. Where, Kp is called proportional gain, e is the error magnitude and B is the output from controller when there is no error. It is also called bias. In a proportional controller, the value of gain is set as required by the process and can be varied from 0 to ∞. Where, e= error, Ti= Time interval of integral action. Purpose of integral action is to provide adequate control action on varying demands of process. In this type of action, output varies as per the time integral of error. This action does not exist independently and always associated with proportional control. Derivative Control Action (D): To achieve a stable process, wide proportional band and low integral action are set. Due to these settings, the control system can be too slow. If large system disturbances occur over a wide interval, PI controllers are inadequate. 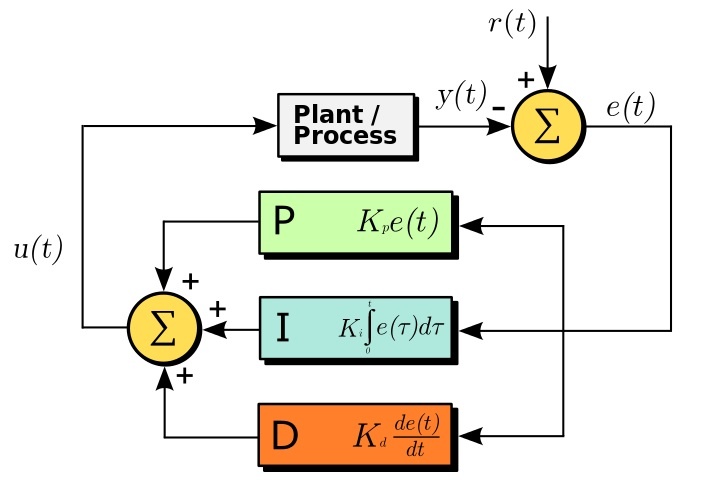 These large system disturbances can be managed if the controller output responds not only to the magnitude of deviation, but also to the rate of change of deviation. Derivative control action is that control action. Today's process controllers are much easier to set the PID, thanks to auto-tuning algorithms. What used to be a very time consuming and tedious job can now be done with the push of a button and allowing the controller to "learn" the process dynamics. PID controllers minimize error and optimize the accuracy of any process. For more information on the use of closed loop control with industrial inline process refractometers. contact Electron Machine Corporation by visiting http://www.electronmachine.com or calling 352-669-3101.